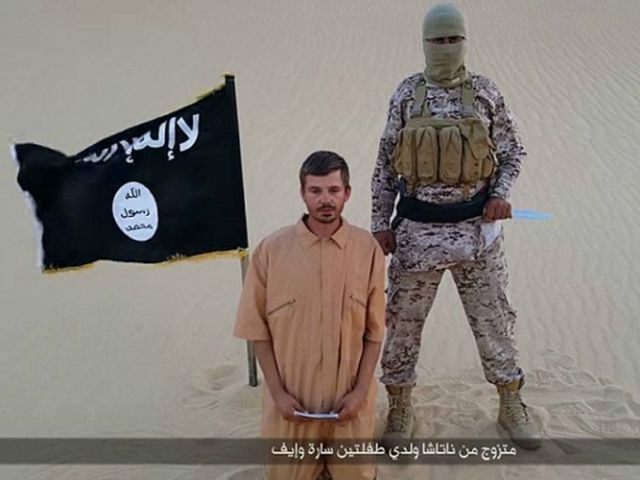 The Egyptian branch of ISIS has kidnapped a 30-year-old Croatian named Tomislav Salopek, who was in Egypt on business as an employee of French geology firm CGG, and is threatening to murder him within 48 hours if the Egyptian government does not release Muslim women from its jails. It is not clear exactly which Muslim women the terrorist group wants freed, as there is no shortage of them in Egyptian prisons, following the overthrow of the Muslim Brotherhood. 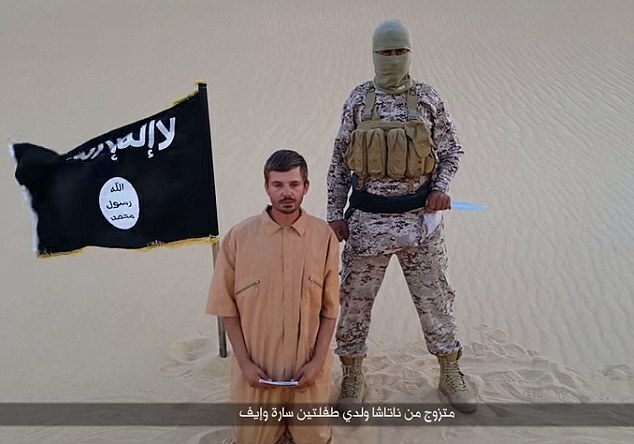 Reuters reports the threat to the Croatian hostage was delivered in a video entitled “A Message to the Egyptian Government,” in which the captive Salopek–clad in the orange jumpsuit ISIS forces on all its prisoners–is made to kneel and identify himself for the camera. His identity has been confirmed by Ardiseis Egypt, the division of CGG he works for. The UK Daily Mail thinks the ISIS militant holding a knife to Salopek’s throat in the video might just be “Jihadi John,” a.k.a. Mohammed Emwazi of west London, the British-accented jihadi who was a regular fixture in Islamic State murder videos prior to the exposure of his true identity. According to the Daily Mail, Salopek is a father of two, whose family was staying with him in Cairo, but has returned to Croatia following his abduction. Salopek himself was only two days away from completing his assignment in Egypt and returning home when he was captured last month. Reuters states that Croatian Foreign Minister Vesna Pusic is en route to Cairo to deal with the situation. The UK Express reports that, following the release of the Salopek video, “the British Foreign and Commonwealth Office (FCO) has put the Sinai Peninsula, bordering Israel, on its highest alert, advising against all travel to the area.” That’s bad news for the Egyptian economy, as Egypt has long been a favored destination for British tourists.